IS THIS THE BEGINNING OF CRYPTOCURRENCY MASS ADOPTION? Cryptocurrencies and Blockchain have unlocked a brand new world. The world which started evolving practically with the speed of light, bringing numerous new trends and opportunities to life. This, will most certainly, affect a lot of things as we know. Are we ready for it? Majority of us are excited at the sound of any of these new terms, but only the smallest minority really understands what they mean. That was until a new member announced its entrance into the crypto world. LXMI.IO, read Lakshmi ( luhk-shmee), is a crypto asset platform named symbolically after the Indian Goddess of Wealth, Fortune and Prosperity. The platform aims to educate the general public to trigger a mass adoption of cryptocurrencies by creating the easiest and fastest way to exchange any local currencies to any cryptocurrencies. Sounds too good to be true? Perhaps, but these guys mean it. The founder of LXMI.IO, Mike Patel, is no stranger to various digital and tech ventures and is a very active crypto-world member. He was one of the first people to see the new opportunities it was bound to create and jump on it. Currently, he is one of the leading consultants and speakers in the Blockchain, Cryptocurrency and Ethereum Enterprise space. “The idea behind LXMI.IO is to create a global community of crypto investors, traders, miners and developers. Our aim is to bring the entire crypto ecosystem on one single platform. We strive to offer a full range of essential services under one roof to create the fastest and easiest crypto asset platform, which is really for everybody“, says Mike. And by everybody, he means anyone who is curious to enter an exciting new world of Crypto, eager to learn all the necessities to become an active member in this New Asset Class available to the world. LXMI.IO team of highly experienced individuals from backgrounds in automated trading, financial technology, electronic markets, product design, developer platforms and infrastructure development is truly committed to sending you off on the smoothest and well-guided journey. That is why LXMI.IO starts with essentials – a simple support during the onboarding process to the world of cryptocurrency to make even the first experience as pleasant and safe as possible. Safety is a vital topic in this industry. Majority of security issues sprout from lack of knowledge and experience. That is something that LXMI.IO is aiming to change. The platform focuses a lot of attention on its customer experience and user interface by eliminating any complexities. The speed is another crucial factor here. 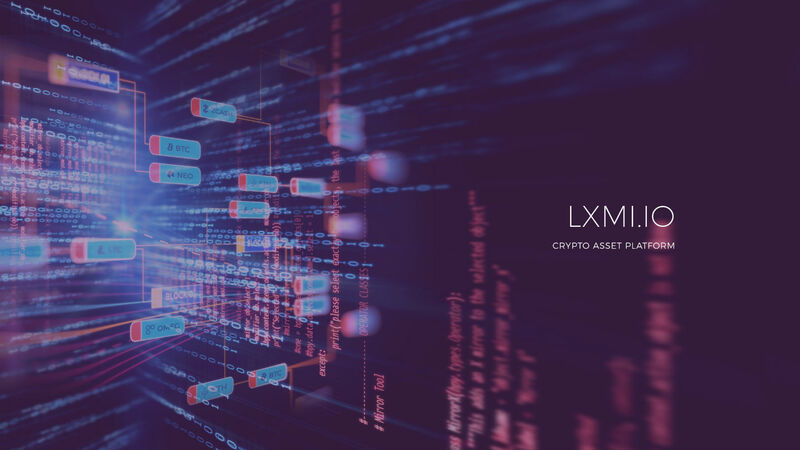 LXMI.IO is positioned to be the easiest crypto asset platform for buying, selling and exchange of the top cryptocurrencies. Platform as a service (PaaS) for blockchain developers in our infrastructure to actively participate in continuous improvement of the system by creating, testing, launching and monetizing their DApps (Decentralized Applications). LXMI Crypto Debit Card for instant payments and control of your Crypto Assets, even in places which only accept the state-issued (FIAT) currency. Cryptobot which notifies you of any price changes through alerts on Facebook Messenger, WhatsApp, Telegram, WeChat or email, for maximum convenience and comfort of a modern-day user. Besides, you can even train your bot to execute a range of actions on your behalf. LXMI.IO ICO is tentatively scheduled for February 2018. Sign up here http://lxmi.io/#ico and follow them on social media to stay tuned!